Why Choose EMPOWER! Professional Organizing? January is the 10th Anniversary of the National Association of Professional Organizers (NAPO) Get Organized Month. 5 years ago I would have said, “Wait a second! 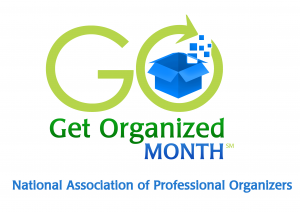 There really is a national association for professional organizers… AND a get organized month? Hah, now that seems silly!” I now realize now how important being involved in NAPO is to me. They offer classes and conferences, and monthly meetings for Professional Organizers to get together and share tips and tricks and learn the upcoming trends in the industries. So, if each year getting organized is a New Year’s Resolution, let’s make this year THE year to accomplish the task(s). EMPOWER! Professional Organizing is here to help you through each step along the way. Whether you want to organize your office, entry way, closet, storage, bedrooms, or anything in between, EPO is ready for you. Here’s a week-by-week January template to get you started and bring in 2014 in an organized fashion. If you haven’t already, now is the time to purchase a paper calendar, or choose an app to help you manage your calendar. Personally, I use the Cozi Family Calendar. 1) Color-coded appointment blocks for each person, or for different aspects of your life. 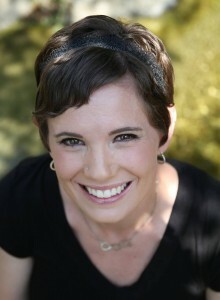 With my busy life, I have different colors for my business, personal, and corporate clients. My husband has different colors for his work and personal life. It’s handy, and although our brains process things differently, this works for us. 2) Shopping lists! The shared shopping lists is so helpful. Our house has lists set-up for Target, Costco, Safeway, etc. This way, if one person is stopping by the store they ALWAYS have the shopping list on hand. It’s OK to say NO! Don’t always feel obligated to say yes. Schedule time in for YOU – you’re important, so make sure you allow adequate time for you to recharge your batteries. It could be as simple as a short walk, a bath, reading a book or magazine, or going for a massage. Whatever it is, that time is all about YOU. The first step to getting organized is always knowing what you’d like you finished space to look like. Most of the time, clients want their space to be less cluttered and more simplified. If this is the case, start by sorting out items that really don’t have any value to you anymore. It’s ok to donate items – it’s ok to throw things away… really, it’s ok! The goal is to eliminate extra clutter, or those trinkets that simply collect dust. Adequate and proper storage is key to organization. There are companies that specialize in installing storage, and I’m happy to refer you to a few if you’d like. Many people like to purchase and install on their own, and with any home project, I urge you to price out the time and cost of YOUR time for this type of project, in addition to all of the materials and extra unforeseen trips to the hardware store. If it’s not practical for you to do it on your own, hire the project out. Oftentimes, I notice that most clients have adequate storage solutions, but the storage just isn’t being used properly. If you think you fall into this category, get in touch! UGH. Productivity. This word actually holds a lot of negativity for a lot of people. “Be more productive at work… If only you were more productive at home on the weekends…” I’m here to tell you to drop the negative connotation that comes with the word productivity, and begin to embrace the positive side of it. Be Pro-Active and Pro-Duce Results. You can do it. Here are my steps to setting up a reasonable Will-Accomplish (other than To-Do) list. Will-Accomplish at Home List: Be realistic of your time and energy levels. Monday – Friday (or your general work week): Pick 1-3 items each day that you’ll accomplish. These could be things like; separating the mail, doing 1 load of laundry, or cleaning the bathroom. Easy, accomplishable tasks. Saturday-Sunday (or your weekend): Pick ONE day to try to accomplish the major projects, and ONE day to accomplish the more minor projects. Major projects could include: yard work, mopping the floors, washing exterior windows, or shopping/meal planning for the week. Minor projects could include: cleaning the kitchen, taking out the garbage/recycling, or changing the sheets. Will-Accomplish at Work List: It’s all about being practical. What honestly can you accomplish in a hard day’s work? List the items that need to get done day-by-day, and have the list by your side. Cross off the items as you complete them. FOCUS on the item at hand. This means NO checking email, or getting involved in other distractions. I realize that in a busy office you may need to answer the phone or speak with a colleague at times, but try to refrain for leaving a Will-Accomplish item semi-accomplished in order to pick up a new task. Leave work at work! In order to be more productive in your life, it’s important to establish the boundaries that allow you to leave work at work. If you need help with this, please get in touch. Make sure that you have the Will-Accomplish items written/typed where you will see them, and be comfortable with making adjustments. Remember if YOU want to accomplish your resolution to get organized, you can. Follow the weekly guide for a jump-start, and don’t hesitate to get in touch along the way. EPO offers a 3-Step Process to organizing: 1) Complimentary Phone Consultation, 2) Complimentary In-Person Consultation, 3) Appointments. I look forward to hearing from you!